The conclusion that continuous economic growth is not feasible on a finite planet may seem obvious to ecologists, scientists, and perhaps much of the citizenry, but it is antithetic to mainstream economic thinking. While economists have hardly done well in recent years at producing growth (and its mythological twin, well-being), their faith in the growth imperative has not wavered. As we consider a future without growth, a question that immediately comes to mind is unemployment. How can we keep a growing population employed and make progress at giving the 20 million unemployed and underemployed the work they need? My answer is the 80 percent solution. For decades, economists have ruled out all but one approach to joblessness: GDP growth, or a trickle-down jobs model. But it is no longer a viable one. 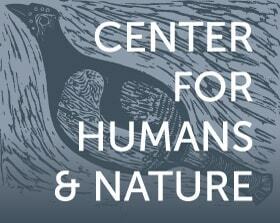 Other contributors to this debate will undoubtedly explain why with reference to ecological limits. A second reason is that GDP growth has become an inefficient employment generator. Economist Robert Scott of the Economic Policy Institute reported that while U.S. corporations did create 1 million domestic jobs in 2010, they created far more abroad—1.4 million. Employment outsourcing will continue and is a major reason why just increasing the rate of growth of GDP cannot solve the nation’s unemployment problem. After three years of recovery, there are still more than four people looking for each available position. And now there is increasing cultural pressure to deny the reality of unemployment, as those affected become more socially excluded and less politically potent. That’s why it’s time to go to 80 percent work time. It’s a fresh idea that solves a number of problems: unemployment and excessive carbon emissions, as well as work-family pressure and an impoverished civic sphere. 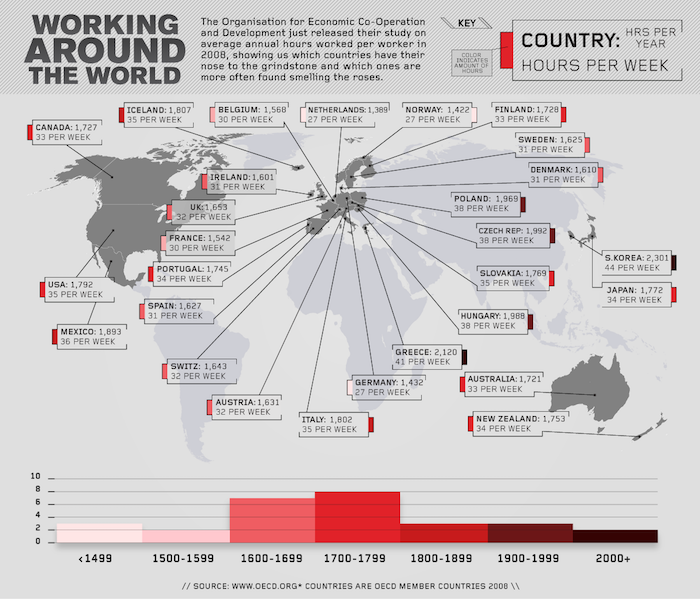 Dutch hours stood at 1,377 in 2010 in comparison to the United States, where hours are 1,695, or 318 hours higher. (That’s about eight weeks more work here than in the Netherlands). Dutch productivity per hour has been considerably higher than in the United States, although right now it is at rough parity because the Dutch haven’t laid many people off since the 2008 downturn. Compare this to the United States, which has had massive employment losses. In the Netherlands, part-time work is the new full time. Three quarters of Dutch women workers are on part-time schedules. Twenty-three percent of men are also on part-time schedules, with an additional 9 percent on a compressed, four-day work week. What began as an extreme gender imbalance is eroding as men have also begun to prefer shorter work hours. Life satisfaction, the well-being of children, and a variety of other quality-of-life measures are far higher there than in the United States. Work time is a big part of why. If the United States started down the 80 percent solution road, it would make a huge dent in unemployment. Employers could hire five people for every four jobs that are available. It’s a shorter work-time policy that doesn’t require cutting the hours and pay of people who have jobs. Instead, new people come on at 80 percent pay and work only four days. It’s especially feasible for younger workers who are getting salaries for the first time and who tend to find shorter hours appealing. The other important part of the 80 percent solution is that hours of work are strongly related to carbon emissions. Countries with lower average hours have lower carbon and eco-footprints. Their economies are less oriented to growth in materials and use of carbon. So spread the word and put the 80 percent solution on the table at the local, state, and federal level as the debate about persistent unemployment and the economy heats up through this election season. Juliet B. Schor is Professor of Sociology at Boston College. Her most recent book is True Wealth: How and Why Millions of Americans are Creating a Time-Rich, Ecologically Light, Small-Scale, High-Satisfaction Economy (Penguin, 2011, previously published as Plenitude).